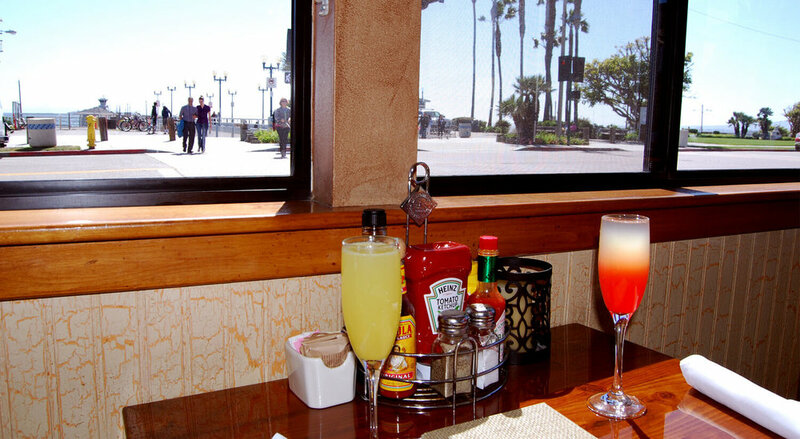 Enjoy the best Seal Beach Breakfast by the pier. For early risers, we open early at 7:00 am daily. Experience morning tranquility with a variety of freshly made meals, coffee, or juice. Our friendly staff will help start your morning off right! We have everything you can imagine. Our New American Menu has everything you can imagine, We throw in a little Southern cooking as we serve up the Classics. Relax at one of the best Seal Beach breakfast places nearby for value and service, We're a great place for friends or family to meet with a lot of options. We recommend coming early as tables fill up quickly. With 150 uniques shops on Main St, The Hangout is the place to be. Take an invigorating walk afterwards on the historic pier. There's no better way to start your day or weekend. If you're exploring the area by bike, there's racks on the pier; mere footsteps away. This is my go-to place. Very good food, great service, and responsive owners too. It's nice to go to a local spot and have it owned by a person and not a corporation. Sleeping in late? The Hangout also serves a great Seal Beach Brunch. Looking to live a little? Our filling portions won't disappoint. Whether you're craving something sweet to get you going or just need some protein after hitting the gym, our wide selection has it covered. We have healthy, light fare to get energized. For Brunch by the Beach, we're an ideal spot for meeting friends over the weekend or a table for two. From Long Beach, we're just 7.5 miles! Take a scenic drive along the coast and join us for a relaxing day out with friends. Our laid back atmosphere is perfect before catching a flight out of LB. Join us Sundays for our signature Bloody Marys special for $5. With five variations, we have traditional to spicy to the elite. For Mimosas, Choose from Orange, Guava, or Pomegranate! 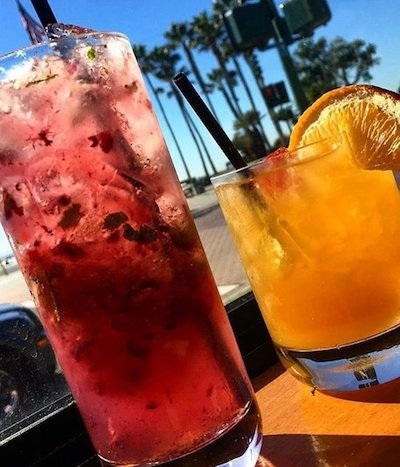 See why we're the one of the best spots for brunch in Seal Beach. Our brunch menu has all the staples. Read popular dishes below. Grilled dry aged Strip Steak, Two Eggs any style, Toast with House Tarragon Hollandaise, & Hash Browns. Choose from Smoked Ham, Smoked Salmon or Spinach. It includes Tomato Florentine, English Muffins, Two Poached Eggs, Tarragon Hollandaise & Hash Browns. Our friendly service combined with our surf ambiance and vast food choices makes us ideal for groups. Read a few of our popular dishes below. See the Full Menu and food gallery online. Two Eggs any style with your choice of Apple Smoked Bacon, Smoked Ham, or Sausage served with hot Hash Browns. Choose from White, Wheat, Sourdough, Rye Bread or an English Muffin. Buttermilk Pancakes topped with Whipped Cream, fresh Seasonal Berries with a Side of Warm Maple Syrup. Raisin Bread Pudding French Toast topped with our house-made sweet Jack Daniels Sauce. Whipped Cream & Macerated Strawberries. Burger Patty on Toasted Bun with Fried Egg, Bacon, Tomato, Cheddar Cheese, Garlic Aioli, and Hash Browns. Three-egg Omelette, Smoked Salmon, Cream Cheese, Red Onion, and Capers served with Toast and Hash Browns. Slow-cooked Steel Cut Oatmeal with Honey, Candied Pecans, Fruit, & Golden Raisins. Two-eggs Over-easy, Refried Beans, Salsa, Cheese, Tortilla, Fresh Avocado, & Hash Browns. Scrambled Eggs, Louisiana Sausage, Potatoes, Cheese, Salsa, & Fruit Cup. Fresh Scrambled Eggs, Potatoes, Sausage, Cheese, Tomato, and Onion wrapped in a Flour Tortilla. Comes with Sides of Sour Cream & Salsa. The Hangout is located in downtown. From the 405 North, exit 22 or if 405 South 24B. Our staff makes it easy to order.